← Stop adding features start adding value! One of the most significant challenges for large businesses is staying engaged with the lifeblood of the business – customers. As businesses grow people become disconnected from customers at all levels of the organization. It’s the leadership’s role to bring a focus back to customers and how every individual has an impact. There is nothing like the personal customer insight and impact to be gained from interacting with customers. You get the raw emotion of a frustrated customer appealing for help if you listen in to customers describing the problems they are having with your product or service to a call center rep. It can have even greater impact if you watch customers trying to buy your product and experiencing increasing frustration from time-consuming processes or unwieldy websites. Senior executives and other non-customer facing staff don’t really understand their customers unless they can experience what customers are going through. Customer immersion programs are designed to do just that – give people a first hand experience of how customers are thinking and acting. Adobe’s Customer Listening Post facility brings customer experiences to life – live video and data feeds showing what’s happing in real-time. Technology such as camera phones, videography, button cameras and online diaries to document the immersion process enable you to play back customer interactions and experiences with your business. The power of the immersion program is when it challenges people’s perceptions of who their customers are and how they use their products. 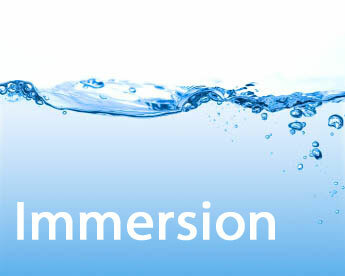 A key benefit of immersion is its ability to create a culture of consumer-focused thinking within the organization from top to bottom. First-hand experience and advocacy by senior executives dramatically enhances a customer culture in the organization. Companies best internalize the consumer perspective when executives at all levels can experience its impact. It fosters a greater appetite for customer understanding. It ultimately leads to an improved customer experience. Just 3 weeks after the US elections, join top CEO’s and other leaders from the FORTUNE 500, regulators, authors and industry thought leaders as we view a “360″ of the economic and leadership world for 2013. I will be presenting on “The Seven Disciplines of a Customer Centric Culture” and part of a panel discussion on the implications of the election results and what to expect in 2013. This entry was posted in Case Study, Customer Centric Culture, Customer Centric Leadership, customer focus, Customer Foresight, Customer Insight, Customer-Centricity, innovation, Market Culture in Action, Uncategorized and tagged customer immersion;customer focus;customer centricity; customer insight; customer experience;adobe, executive next practicies; globalhrnews. Bookmark the permalink. I am a marketing major in college, and this article is incredibly relevant in today’s marketplace. People are buying less “stuff” and are paying premium prices for “experiences.” Very well I thought out post.